Jean Paul Lemieux is particularly recognized for his paintings of the desolate, seemingly infinite spaces of the landscapes and cities of Quebec. Many of his works are permeated with an intense feeling of mystery. Lemieux studied at the Ecole des beaux-arts de Montreal from 1926 to 1929 and demonstrated a talent for illustration. Upon graduating he spent a year in Paris, where he studied at the Academie de la Grande Chaumiere and Academie Colarossi. He returned to the Ecole des beaux-arts in Montreal from 1931 to 1935 to obtain a teaching diploma, then taught at the Ecole des beaux-arts in Quebec City, his birthplace, from 1937 to 1967. 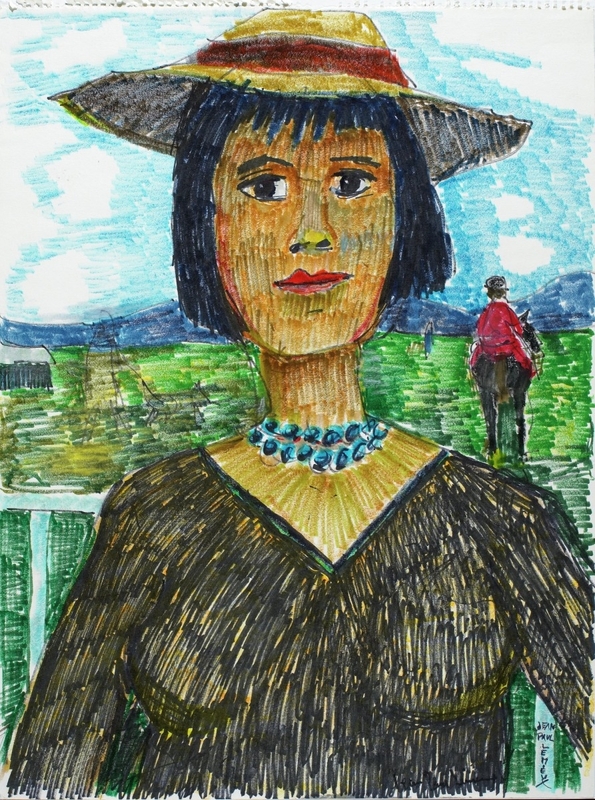 In the 1930s Lemieux painted the rocky terrain of Charlevoix County on the Lower Saint Lawrence, and in the early 1940s produced satirical paintings of urban and rural life. 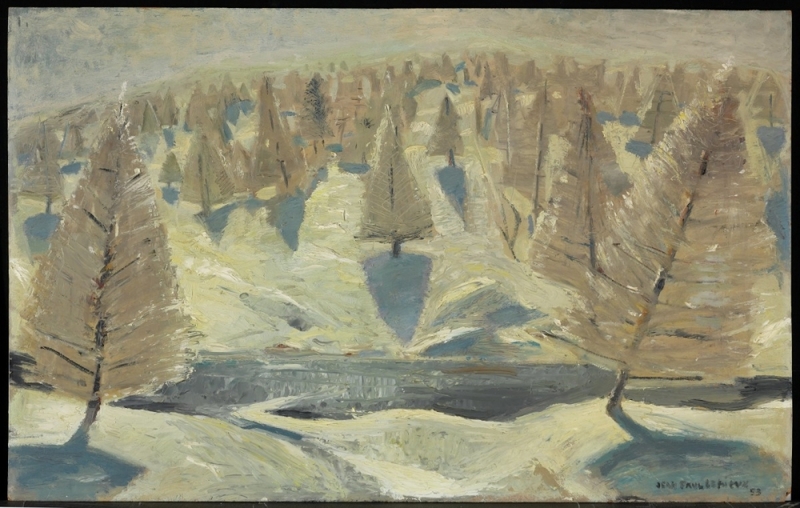 In 1955, after a year in France, Lemieux adopted a more formal and conceptual approach to his landscapes, which were often populated by stiff, unmoving figures. The haunting silence and sense of unease of these paintings became, in the 1970s, horrific visions of ruined cities, annihilated by nuclear attacks. Lemieux has been represented in numerous exhibitions in Canada and abroad. A monograph on his life and work by Guy Robert was published in 1968, and he was named a Companion of the Order of Canada that same year. In 1969 the Montreal Museum of Fine Arts organized the first retrospective of his work.Lemieux illustrated several books, including Gabrielle Roy's La Petite Poule d'eau (Where Nests the Water Hen) in 1971 and Louis Hemon's Maria Chapdelaine in 1981. 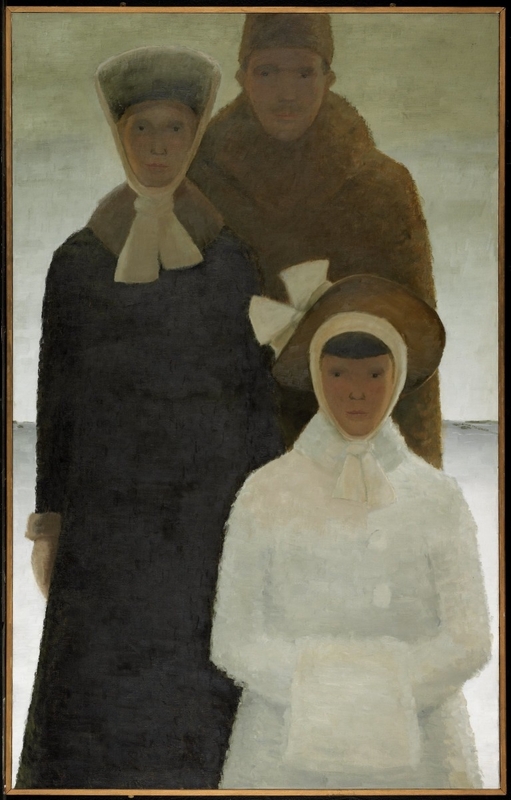 In 1990 the Musee du Quebec (now the Musee national des beaux-arts du Quebec) organized a major retrospective of Lemieux's work, but the painter died at the age of eighty-six shortly before its opening.